I just HAVE to share my most impressive, most genuine audiophile experience so far. 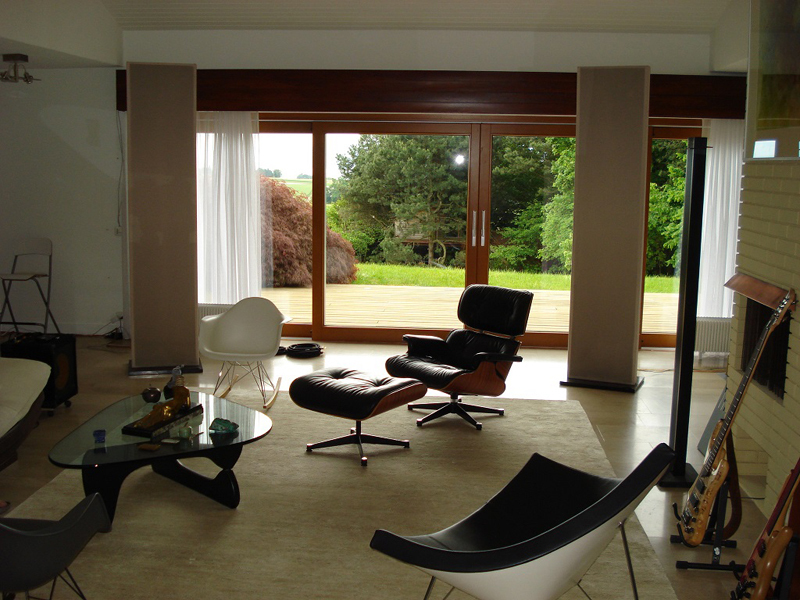 I have a sound system which has been built up over a period of 42 years seeking the best, the most musical sounding, almost regardless of cost. 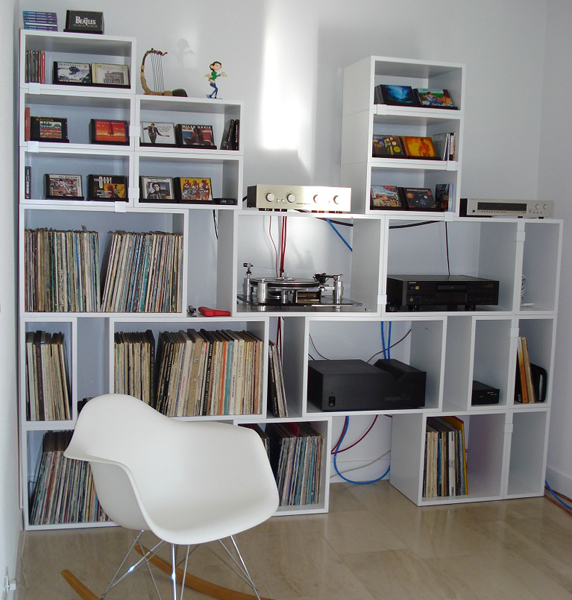 At the audiophile level, I limited myself to two sources: the vinyl LP and the CD. 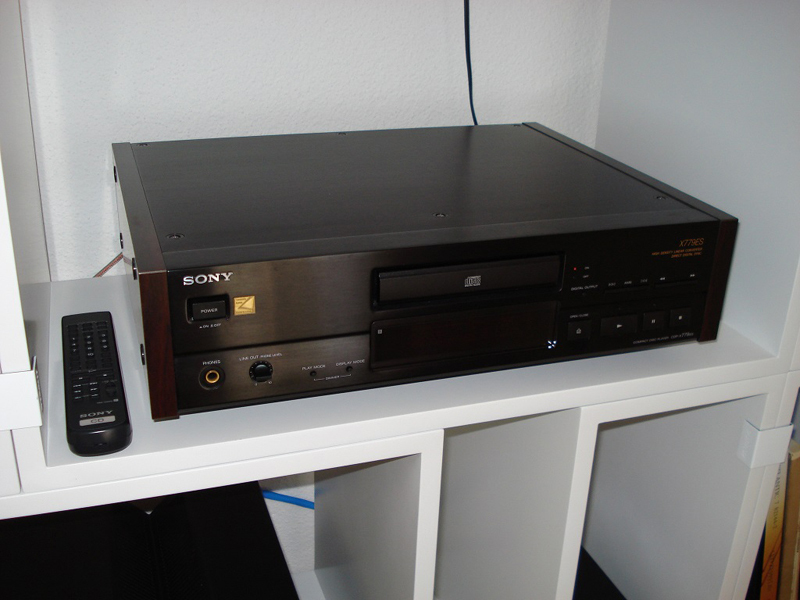 I bought a Sony CDP X779 ES on Ebay some 10 years ago. It was reasonably priced and appeared to be in good shape. It had a small golden sticker next to the power button; a tiny square showing a triangular cut-out in relief and in tiny print one could read: “Swoboda Audio Modification”. I asked the seller what it meant and he explained that there was a gentleman in Essen (D) that had done modifications on the player. After receiving it and connecting it to my system, I found the player sounded somehow different from what I had experienced so far. It sounded quite well-balanced; relaxed I would call it and somehow better to my ears than the players I was using at the time at many times the price. I am a musician and have been involved in recording, mostly of vintage, sometimes medieval instruments in their original environments such as churches and smaller to larger halls. This may perhaps qualify as a fairly realistic musical reference. To make a long story short, in the meantime, I found out what Michael Swoboda and his team can achieve, so over a period of some years I asked him to add a few more modifications. After each upgrade the player sounded better, with more detail and accuracy. I like to compare it to curtains being pushed aside, like an opening up of the soundstage. Michael Swoboda’s approach to audio equipment is about listening and since he’s an engineer it is also about removing interferences, limitations and problems on the path of the signal through the various, the many components in the chain. But ultimately, long term listening tests play an essential role in his accomplishments. A few months ago, I asked him to perform the “Full Monty”, every remaining modification available for this player. He asked me to bring along my preferred valve pre- and mosfet power-amp that he and his long-time colleague engineer, Sven Knipping, would clean-up. They replaced the stock audio connectors with silver NextGens and replaced the power cables with PowerLinks. I also got the loudspeaker posts on the power-amp upgraded to pure silver ones. 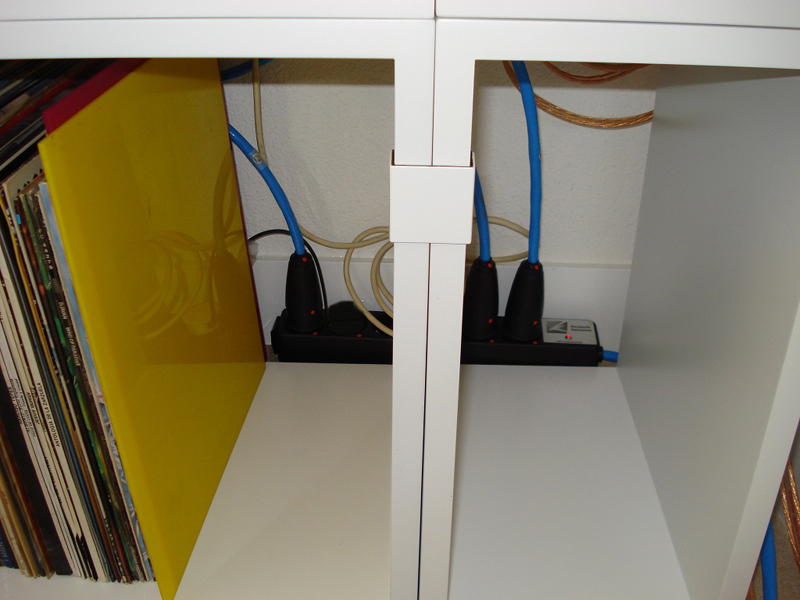 Before returning home, he convinced me to take with me and try out a power strip that he manufactures, as it would represent a significant further improvement in sound quality. He told me many things and honestly, it all made sense. The experience and patience of this perfectionistic gentleman are completely unique and highly compelling. 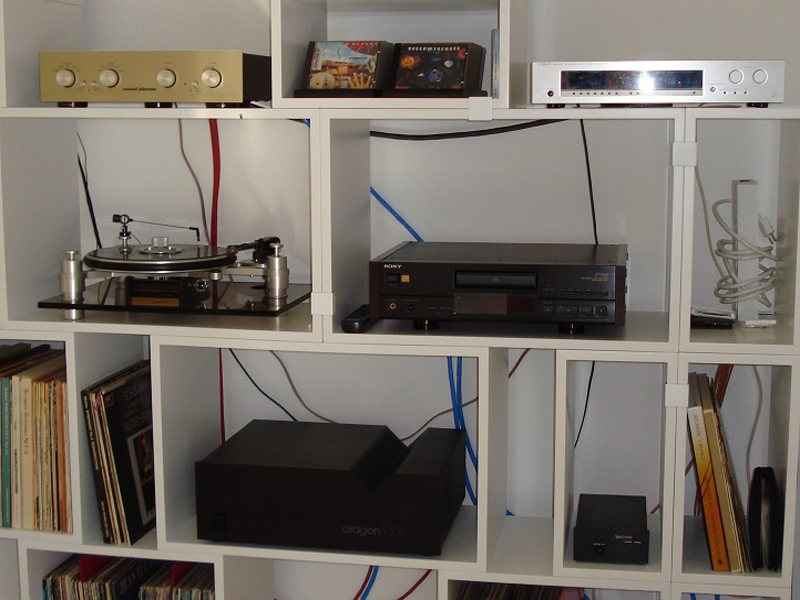 Back at home, I set up the system, following Swoboda’s recommendations, including suggestions on where to position the vibration-isolating pucks under the CD player, and connected the newly modified units to a pair of true full range electrostatic loudspeakers (2.4 meters tall) and let it all warm-up overnight. I could hardly wait until the next day. The next morning, pushing my self-control to the limit, I first listened to a few vinyl records, sonically setting myself up, so to say. Then I played the first CD. Baffling ! . . . , how on earth is this possible? The magic unveiled itself immediately. Quite frankly, I had never ever heard anything like this before; and this while the full burn-in was nowhere near complete. Words cannot begin to describe this progression; the ease with which the music flows, the placement of performers on their stage and in their space, the depth of field if you like, the air and space around the instruments, the level of detail, the sheer musicality. Now, the stage is utterly detached from the loudspeakers, an area somewhere behind and around them; easier than ever before to forget they’re even there. Good recordings sound totally amazing; wonderful guitars and voices, individual instruments solo or played together… sparkling and effortless. An electric bass guitar sounding like it should, deep, controlled, tight and not like someone hitting the sofa with a salami. Apart from being inefficient and offering extremely low impedance, requiring high voltage amplification, vertical array flat panel electrostatic loudspeakers inherently suffer from imaging problems in the horizontal plane. You almost have to fix your head in a vice to avoid what is known as a “Venetian Blinds” effect. I do not understand why, but on good recordings the Venetian Blinds effect now seems to have practically disappeared. I consider myself a rather spoilt audiophile. For the best recordings on CD, I even go as far as making Exact Audio Copies, shaving their outer rim at 45 degrees and making opaque any of the discs’ transparent areas. I have been very fortunate having been able to try out much of the best “esoteric” equipment that has been available these past 40 years or so and to collect what I enjoyed most. I have to admit; never did the CD reach this level of sonic quality, this freedom. It is a pure delight. This past month, I have been listening every single day for many hours and it is clear that the burn-in of the various new components is well under way. The sound has been evolving steadily, subtle evolutions mind you; a slight edge softened here, a further opening up of the sound spectrum there; subtle yet undeniable. Things became ever so slightly more balanced. Yet cymbals sound like cymbals, making it evident why drummers choose a particular brand; an acoustic guitar with new strings, the rich sound of an older Steinway. It becomes crystal clear why certain instruments are exquisite and why certain musicians are virtuosi. Now it is a matter of time. Let the music play. I can sit down and listen to amazing performances when I like and at sound volumes that fit my mood; and this with a musicality that I never ever experienced before other than in live performances. Michael Swoboda still has quite a few cards up his sleeve for me or for anyone that wishes to try his wonderful magic out for themselves. Don’t take my word for it. I can safely say that I now have one of the best CD-players in the world. For me, there still are pure silver interconnect cables on the horizon and a few improvements in terms of valve amplification, power supply and resonance damping and who knows what else. I have no doubt at all, that Michael Swoboda will continue to amaze me. Thank you, Michael, for sharing your magic. Die Anlage ist noch im Aufbau und noch nicht komplett optimiert.